Many of you might be thinking about buying a Smith Machine for your home or garage gym. 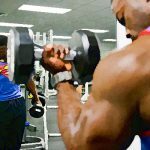 You might have used power racks, squat racks, power cage, dumbbells, barbells, benches or free weights for your workout routines which are great. However, Smith Machines permit you to lift weights without the use of a spotter and also help prevent injury. 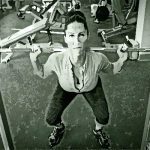 5.1 How often should you include the Smith Machine in your workout plan? 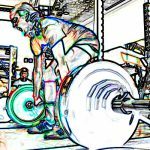 5.2 What are the advantages of using the Smith Machine? 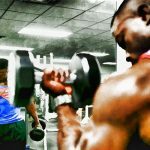 5.3 Should beginners use the Smith Machine? The Marcy MD9010G Smith Cage Combo is the best choice to get a gym quality workout at home. Strength training not only builds lean, toned and strong muscles, it also increases your metabolic rate allowing you to burn calories more efficiently and lose body fat. 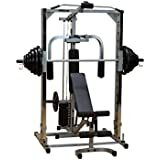 This unique setup delivers limitless strength training possibilities giving you the advantage to choose between Smith machine and free weight style lifting or cable exercises. The MD9010G is equipped with a dual cable crossover system that allows a wider range of exercises usually found in commercial high quality gym equipment. The press bar features sealed linear bearings and bar catches for smooth and secure feel. The unit also features a Pec Deck for isolated chest exercises. 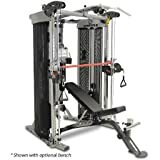 The multi function bench is equipped with a total leg developer, a preacher curl pad with a bicep handle and a multi position back pad for various pressing exercises. Extras include six weight plate storage holds to keep your weights organized and an array of training accessories. The FT2 is a combination between two of the most popular strength training equipment in health clubs today – The Functional Trainer and the Smith Machine. Inspire Fitness has combined these two units into a single machine that virtually offers everything strength related that a health club can give you. A Functional Trainer usually has two adjustable high low pulleys. The FT2 Trainer however has a set of close high pulleys above your head for lat pulldown and tricep pushdown exercises. Below there are two sets of low pulleys for your traditional seated row and you can also slide a bench in with the preacher curl option. You’ll also notice that the FT2 Smith Machine does not have an option to add free weight plates to the end of the bar. Instead the bar has been engineered to tie directly into the weight stacks that are already on the unit. Therefore to use the Smith Machine you just need to pin your weights and there’s no more lugging plates around. You also do not need to buy weight plates or weight trees which results in cost and space savings for your home gym. 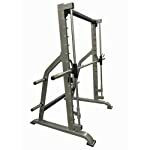 The Valor Fitness BE-11 Smith Machine comes with a counterbalance option as an accessory. The bar with counterbalance is almost free floating and if you do not have the counterbalance option, the bar itself weighs about 30 pounds. The counterbalance option allows trainees to bench-press with smaller weights. The two linear bearings attached on each end of the Smith bar slide up and down on the steel chrome shaft of the unit. This gives a nice smooth up and down motion along the guide rods. The bar on this machine is hooked on by the J-hooks on the sides. The hooks and safety pegs are both made of solid steel. In addition to the safety catches, the unit has another safety feature down below the vertical guide rods. There is another safety latch with a spring steel coil to cushion the bar, in case you are unable to rotate the bar and failed to catch one of the safety pegs. On the bar itself, there is a 16 inch chrome tube that holds the weights you are working out with. In addition there are secondary 8 inch pegs at the back of the unit which holds the weight plates for storage. The base of the unit has four rubber protective pads to protect the frame or to protect your floor. They also give the unit a solid grip on the floor for overall stability. How often should you include the Smith Machine in your workout plan? The Smith Machine is a very commonly used piece of fitness equipment in gyms all across the country and is regularly utilized for compound chest pressing, overhead presses, squats and other movements. It certainly helps build muscle size and strength. However, the Smith Machine should not be used as a sole piece of training equipment and should not makeup the majority of your workout plan for any particular muscle group. This is because the Smith machine does not allow for complete stimulation of your entire muscular system and your muscles will have only been conditioned on a single plane of movement after a long period of training on the machine. Therefore, you should also include other weight training routines as a part of your overall workout plan. 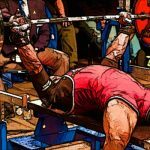 What are the advantages of using the Smith Machine? Smith Machines are great under certain circumstances, for instance, if you want to overload a particular muscle by targeting it in a fixed plane of movement. Sometimes many bodybuilders are looking to hit specific muscles and target certain areas. They might not want to work their stabilizers and instead wish to focus on specific body parts. Smith machines are mostly beneficial for intermediate or advanced trainees who know how to make a specific muscle fire and know the proper movement pattern of certain exercises. They can tweak the movements a little bit with the Smith Machine to focus on hitting a specific muscle or target a specific area. Most people use Smith machines for squats and standard movements like overhead presses, bench press, chest press and split lunges. However, they can also be used for some body-weight movements such as push ups and inverted pull ups or rows. Should beginners use the Smith Machine? Many beginners like to just gravitate towards the Smith Machine because it is easier or they may fear using free weights or they don’t have a spotter. 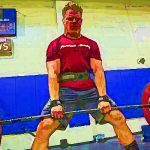 However beginners should first develop stabilizer muscles using free weights as they need a foundation and they need to know their movement pattern. So for instance when beginners are doing a bench press, using dumbbells or barbells will help them understand their movement, get the feel of the muscle and build the stabilizers. Another reason for beginners to not use the Smith Machine is that there are different kinds of Smith Machines. Some of them have the bar completely vertical while others have the bar slanted either forward or backward, so you are pushing back or forward. 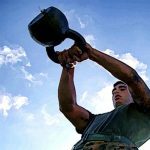 This movement may not be beneficial for beginners as it does not replace the traditional incline, decline or flat bench press.